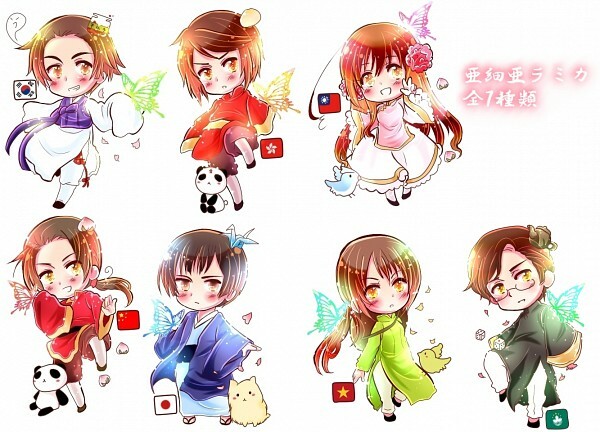 ~Chibi Asian Family~. . Wallpaper and background images in the हेतालिया club tagged: hetalia china japan taiwan south korea hong kong macau vietnam.